Bud n' Mary's World famous Marina in Islamorada Florida is the premiere destination in the Florida Keys for serious fishing and fun. Captain Skip Bradeen has been fishing the waters of the Florida Keys since 1966 and has one of the finest top notch charter operations on the East Coast of America. Captain Bradeen has the knowledge and experience to help you land your dream catch. For the ultimate in sportfishing and comfort, book a trip aboard the "New Blue Chip Too". Backcountry and Offshore Fishing Charter! Full service marina with offshore and backcountry charters, Party fishing boat, Boat rentals, Fisherman's calendar, Accommodations, Transient Dockage, Covered storage, Fishing vacation packages, Islamorada fishing tournament information. Catchalottafish Charters is in business to do just what the names says, catch-a-lot-of-fish! Their determination and passion is what separates them from the rest. They give 110% on every trip to ensure that you have the best experience possible! They love to fish, and it shows in their attitudes and in their fish box at the end of the day! As a Native of the Florida Keys, Captain James knows these waters and knows how to put you on the fish! With arguably one of the nicest boats and best equipment possible for your day on the water including all brand new Shimano tackle, they pride themselves on their quality and it shows in everything they do! So, what are you waiting for? Give Captain James a call so that he can take you to do just what the name says "CATCHALOTTAFISH"! Offshore Fishing Charters - Captain Hendrix is ready to take you out on his 27 foot Conch Open Fisherman. He specializes in Offshore and Reef/Wreck fishing as well as in Tarpon and Swordfish Fishing. He can take up to four people. Fearless Fishing Charters offers full days or half days and will also do tarpon trips and swordfish trips! Give them a call! The Islamorada Charter Boat Association is committed to banding together and protecting the fish and fishermen that they love so much in the sport fishing capital of the world, Islamorada, Florida. Please join them and help fight for Islamorada's special fishery. Charter Fishing - Islamorada Offshore Charters welcomes families and anglers regardless of their fishing expertise. They know that there is nothing like spending a day on the water with your loved ones. Docked at the Legendary Bud N Mary's Marina in Beautiful Islamorada! Keys Concierge Service has 30 years of experience and knowledge in the Florida Keys and it's FREE TO YOU!!! Looking for a place to stay? Want to avoid disappointment? With our local knowledge, we will HAND PICK your ideal Resort, Hotel, Motel or Vacation Rental. Luxury, Moderate, or Economy. The true beauty of the Florida Keys is on the water. Islamorada is "The Sportfishing Capital of the World." Through our local knowledge, Keys Concierge will hook you up with Charters of all kinds with only THE BEST OF THE BEST Captains on the Island to ensure you have the BEST EXPERIENCE EVER! We specialize in customizing charters for small and large groups. Magic Time Fishing Charters caters to fishermen (and women) and their families who seek an exciting Florida Keys off shore or reef fishing adventure. Call Captain Mark today to reserve your trip! We'll pick you up at your hotel! Amazing Charter Boat Fishing in Islamorada. If you want the best, Call Captain Augie! Offshore and Backcountry Fishing Charters, specializing in making people Happy! Call Captain Paul anytime. The Reel Sharp is a 33 ft Hydrasport with triple 250's and a custom tower docked at Robbie's Marina. They have 20 years experience fishing the keys, and one of the keys top captains, Galon Johnson. Reel Sharp offers many different world class fishing trips ranging from reef, offshore, Bahamas, swordfish,and night fishing. The Reel Sharp reaches cruising speeds of 45 mph, so no matter what custom trip you choose you will get there fast with a guaranteed good time. Full service marina with boat, kayak rentals and charters as well as the Famous FEED THE TARPON area for the family. Captain Michael (Party Boat), The DirtyBoat, Captain Joe Saba (Offshore), Captains Mike Patterson and Ron Howell(Backcountry)and Robbie's is famous for its Reef Snorkel Trips aboard the "Happy Cat" a beautiful new 43' Catamaran ! They have two trips Daily and one Sunset Trip on the Happy Cat. World Class Islamorada Fishing with Captain Butch Green! The Sassy Lady is available for full, half 1/2 day or three quarter 3/4 day, private or split sport fishing charters. Night Tarpon and Shark trips are also available. Full Day 900.00, 3/4 Day 800.00, 1/2 Day 700.00 or Night Trip 350.00 - Sassy Lady Charters takes you on a large 34' Hatteras capable of handling the burly open waters surrounding the Keys. The SEA HORSE was custom designed and built for maximum fishing space and FUEL EFFICIENCY making us one of the best priced boats for our size in Islamorada. Whether we are fishing for Dolphin (the fish), Wahoo, Sailfish, Tuna or other offshore species, the SEA HORSE is comfortable for 1 to 6 anglers. We don't have A/C, TV, or fancy carpeting, but we do have a large fish box, and a professional, courteous crew that will make your trip a lot of fun. SEA HORSE Deep Sea Sport fishing team will provide you the best opportunities to catch what the Gulf Stream and reefs have to offer. Captain Rick works hard to make certain your fishing adventure is a memorable experience that will compel you to come back and fish the Sport Fishing Capital of the world with us again. If you want have fun and catch fish like Mahi, Sailfish, Tuna, Wahoo, Amberjack, Kingfish, Sharks and other sport fish, Call Captain Rick. He will be glad to reserve your date. Full day, 1/2 day deep sea sport fishing trips are available! SEA HORSE is docked at Whale Harbor Islamorada mile marker 83.5 and is available every day of the year. Be sure to book early! Weekends and holidays fill up first! Strictly Business is a fully equipped 38' Foot Bertram. The Crew specializes in reef & offshore fishing in Islamorada and the Florida Keys. Call Capt Wesley King today to book your extraordinary fishing trip! Call Captain Charles Klug today to book your next Tarpon Adventure fishing trip! Catch your own Tarpon, Permit, Snook, Snapper, Grouper, Cobia, Sailfish, Tuna, or Wahoo. Capt. Charles has two boats - A 35ft Hatteras & a 26ft open Fisherman. Tarpon Adventures can take you off shore fishing or backcountry fishing. Call Captian Charles today! Wide Open is a 45 ft. Viking docked at the world famous Whale Harbor Marina in Islamorada, at mile marker 83.5 The Wide Open is equipped with air conditioning in the salon as well as in the helm, top notch fishing tackle and safety gear. Whether you want to fish for snapper, grouper, mahi mahi or the highly coveted sailfish of a lifetime, Wide Open Sportfishing has you covered. Charters include license, snacks, ice and softdrinks. Lodging on water with new pool and marina. Convenience store on property with boating and fishing supplies. Bayview Inn and Marina has jetskis/watersports on property! Timeshare and resort located on the Atlantic Ocean. oceanfront resort with lovely grounds, fishing charter boats, watersports, wedding location available, moderate room rates. Located right across from the world renowned Bale Beach at mile marker 74580 in Lower Matecumbe. Home of Live Lobsters (fresh from the boat to the live tanks) and sweet delicious stone crab that you can buy and eat there hot steamed and fresh from the boats during season. Mr. Lobster is one of a handful of original fish houses/marinas remaining in the Keys where the hardworking commercial fishermen of the Keys dock daily to sell their fresh fish and shrimp and purchase fuel. You can stroll the boardwalk of this truly unique place, let the kids watch live lobster in the tank and then watch the dock guys making lobster and crab traps, which are for sale, too. Renowned wood sculptor, John Ashcraft, has his beautiful sea-inspired wood carvings for sale at Mr. Lobster, too. Wet Slip Marina located at Founders Park, mile marker 87 Bayside - Great spot for weddings! This newly refreshed resort getaway is an iconic property that offers the retro, throwback feel of a nostalgic American beach vacation, combined with modern amenities, designer furnishings and a touch of whimsy. This Oceanfront resort offers, restaurants, bars including the original Tiki Bar and Shula Burger. The resort also offers pools, watersports, diving, snorkeling, fishing charters and a full service Marina. They specialize in weddings, group meetings and events. Postcard Inn is located at mile marker 84 in Islamorada Oceanside. PCI as the locals call the resort is also home to Chevron, a convenience store and fuel station. Dining, Dockage, & Lodging on Snake Creek. Casual relaxed oceanfront cafe overlooking the marina. Fresh local seafood. Come by boat - we'll cook your catch! Happy hour 3-6 with dollar off premium drinks. Dry stack boat storage and full service marina with fuel, fish cleaning station, and Wiggins forklift. Tarpon Flats, a fly fishing inn, marina, outfitters and conch house in the Florida Keys. Sail away on their 23 to 41 foot sailboats. You can go bare boat or with a skipper. Transient and long term slips are available. Full service marina with offshore charters and three restaurants on the premises. All you can eat famous seafood buffet. Braza-Lena - authentic "Churrascaria" Brazilian steakhouse and largest salad bar in the Keys. Guests are served by Gauchos (meat carvers) in elegant style. Come by boat - great ocean view. Wahoo's Bar & Grill - Casual oceanside dining. We'll cook your catch! Bar and wine list, live music and happy hour. Open Christmas Eve and Christmas Day! A Mega-sized store featuring a complete line of fishing equipment and outdoor apparel. Also a full service marina (World Wide Sportsman Bayside Marina) Home to an authentic looking replica of Earnest Hemingway's beloved boat, the Pilar and a beautiful salt water aquarium full of indigenious fish. Florida Keys Fishing Adventures and Sniper Charters specialize in a variety of fishing charters including backcountry, flats, reef fishing, offshore fishing, night time tarpon trips , and family fun fishing as well as eco tours, bird watching, wild dolphin excursions, romantic sunset cruises, covering the Atlantic Ocean, Gulf of Mexico and Florida Everglades. Florida Keys Fishing Adventures & Sniper Charters is based out of Post Card Inn , Holiday Isle Marina in Islamorada, Fl The fishing capital of the world and home of the World Famous Tiki Bar, formally KOKOMOS ! Capt. Chuck Kitto is a Licensed Florida Keys Fishing Guide that truly loves what he does and enjoys sharing the fishing experience with all levels of anglers and adventurers. Capt Kitto has over 25 years of professional fishing experience from the Atlantic, Gulf of Mexico, Pacific, South Pacific, Caribbean, Indian Ocean, Philippine Sea and other international waters. He has spent the last 20 years fishing professionally in South Florida, The Florida Keys, and Florida Everglades. Backcountry fishing is certainly one of my favorite venues to fish and I am fortunate to be able to call this paradise, and the fishing capital of the world, my home!! They will work with you to customize your fishing trip or eco tour and make sure it works for your vacation and can even pick up and drop off at your dock. Captain Chuck Kitto is also available as a fishing guide and consultant to assist you on your boat. A Pirate for Hire Charters offers fishing in the Fabulous Florida Keys, Backcountry, Flats, and the Everglades National Park for Tarpon, Snook, Trout, Redfish, Bonefish, Permit, Shark, Mackerel and many more. They also offer sunset tours, ecotours, night fishing, evening Tarpon and Shark Trips all with Captain Ron Brack. Captain Ron is a third generation professional fisherman, licensed in 1982. Even before he was licensed he had already been fishing his entire life and had served as a deckhand on a professional basis for over six years. He has captained boats ranging in size from sixteen ft. to sixty five ft. He has fished in waters from North Carolina to the Bahamas and several areas in the Gulf of Mexico. However, South Florida's gem, (Islamorada!) has always been home and holds his heart as well as his favorite fishing spots. Captain Ron's experience at sea, itself, reads like a novel of both accomplishments and adventure. He has commercial fishing experience in many aspects of the job, but his love is taking folks out for that lifetime fishing trip and seeing their smiling faces. Fish with Captain Ron Brack and experience the beauty of the Florida Bay, the edge of the Everglades. Enjoy its Natural Beauty, abundant wildlife and spectacular views as well as its bird watchers paradise, with a true Florida Native. Fishing for a quality deal? LOWEST RATES GUARANTEED & KIDS FISH FREE (under 12). Hook up with Capt. Ted Wilson, a 15-year expert fly & light-tackle fishing professional. Fish the secret spots of the calm backcountry waters for TARPON, BONEFISH, PERMIT, REDFISH, SNOOK, SNAPPER, SHARKS & MORE. Backcountry Fishing Charters docked at La Siesta Marina in Islamorada. The Bay and Reef Company is a full service watersports company offering fishing charters, kayak fishing trips, snorkel tours, eco excursions, sunset cruises, Everglades trips, and combination charters. We specialize in customizing excursions for small and large groups. Family fun fishing, snorkeling, lobstering, eco-tours, Live Bait tarpon fishing day or night! Shark and Baracuda trips - Whatever it takes to make your vacation a success! Backcountry fishing guide with 30 years of experience. Captain Perry Scuderi has fished the backcountry and flats of the Florida Keys since 1977. For the last 12 years he's been a professional guide. It is his job to catch you the fish of your lifetime. Capt. Perry started coming to the Keys with his family and friends when he was six years old, back in 1977. He was hooked. Every opportunity, weekends, holidays, summers, He came to the Keys. If you've been here, you understand. If you haven't, well, you'd do yourself right to spend a few days in what a lot of people call paradise, & and if the fish cooperate, your friends will beg you to stop talking about your trip. Capt. Perry has a lot of young kids that fish with him, so he has a 10,000-question per trip limit & would you believe some kids reach it before they even leave the dock? Frequent and pressing questions include "How deep is the water?" "Will we see a big shark?" "Have you ever fallen in?" Call Capt. Perry to book your fishing trip of a lifetime today! Located at World Wide Sportsman Center, MM 81.5 bayside, Islamorada. Snorkeling, fishing, lobstering, birdwatching, ecotours, sunset cruises. Fishing and snorkeling lessons are taught patiently, at your own pace. Fun for the whole family! Private charters for up to 6 per boat. 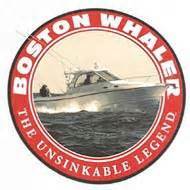 Charter boat captain with many years of experience in the backcounty waters. Snorkeling, sunset cruises, and fishing with Captain Rock Hudson. Call to book charter. Backcountry flats fishing, fly and light tackle, Oceanside flats and Eco tours.